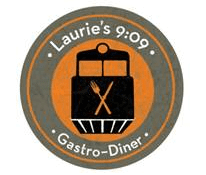 If you live or work near Laurie’s 9:09 in Wakefield, MA, you may be interested in this fun promotion that happens every Wednesday evening, starting tonight. When you get your bill at the end of your meal, the waiter will flip a coin, and if you guess heads or tails correctly, your dinner will be completely free! However, if you do guess wrong you will have to pay for your meal as normal. Basically you have a 50/50 shot of eating for free! There are no party size restrictions on this offer so everyone can try their luck! This promotion is not valid for takeout, excludes alcohol and you are asked to still tip on the total amount of the bill that is complimentary should you win the coin flip. For more information about this promo, please head here. Good Luck! !